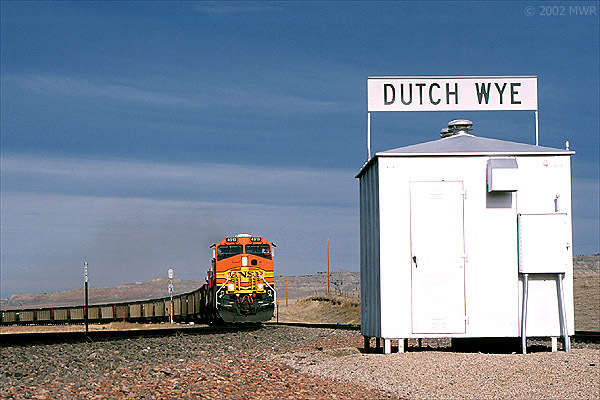 LOCATED ON THE MAIN LINE of the BNSF's Big Horn Subdivision between the population centers of Kansas City and the Pacific Northwest is Dutch, WY. It's a conduit for commerce in a quite unpopulated area, although there is a bar right across the highway in the busting metropolis of Wyarno (population 6?) and Sheridan, WY is only 10 miles to the west. Empty and loaded coal trains dominate the traffic that pass through Dutch since it is located on the northwest corner of the Powder River Basin. Most of the coal trains are serving mines around Gillette, WY, but some of them originate north of Dutch and join the mainline at West Dutch via a wye. Three mines - Decker East, Decker West, and Spring Creek - are just across the Montana state line at the end of the 14.7 mile long Dutch Subdivision. While most of the coal from these mines is destined for Midwest utilities, a few trains each week head for the Pacific Northwest. The Centralia power plant in Washington receives coal from Spring Creek Mine and the Boardman power plant in Oregon occasionally receives coal from the Decker Mines. 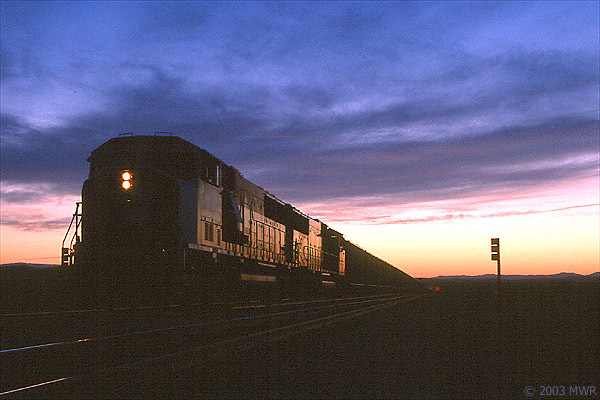 AS A LINK BETWEEN THE PORTS of the Pacific Northwest and the Midwest and points east, Dutch also hosts freight trains, vehicle & intermodal trains, and unit trains of grain and sometimes bentonite. Unit trains of ballast and rail also pass through. In addition, Dutch is in the middle of an active helper district. Sheridan based helper sets push loaded coal and unit trains, and even some freight trains, over the hills of the Big Horn Subdivision in both directions from Dutch. PHOTOGRAPHIC OPPORTUNITIES are available any time of day since the rail line curves from an east-west line on the west end to more of a north-south direction on the east side. On the west, Dutch has the previously mentioned wye connecting two subdivisions and on the east a 12,556 ft siding. With available capacity for up to seven trains and the junction of two subdivisions, Dutch can be a very busy place at times - and very quiet other times. I like to photograph out at Dutch because it is easily accessible from my hometown of Sheridan, WY. In 10 minutes or less I can be ready to photograph which is great when it looks like conditions would be right or I hear a train of interest is in the area. As I have become familiar with the Dutch area, I have found that I most like to photograph there when the conditions are not quite what most photographers would consider ideal. There are some really nice shots in full light with the sun behind you, but I've discovered that the more challenging and most satisfying shots for me are when the lighting is difficult, disappearing, or not even there. 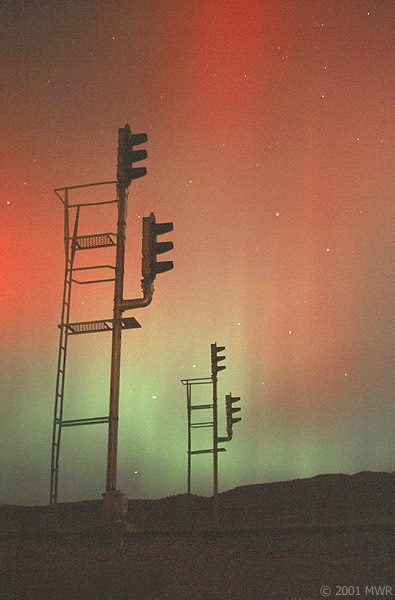 Paul Birkholz, a Wyoming native, is a designer and photographer based out of Sheridan, WY. He was reported to the authorities by an FRA inspector at West Dutch, WY in the middle of a blizzard this winter. Two days later, when the sheriff found him, he determined Paul was of no harm to the United States. 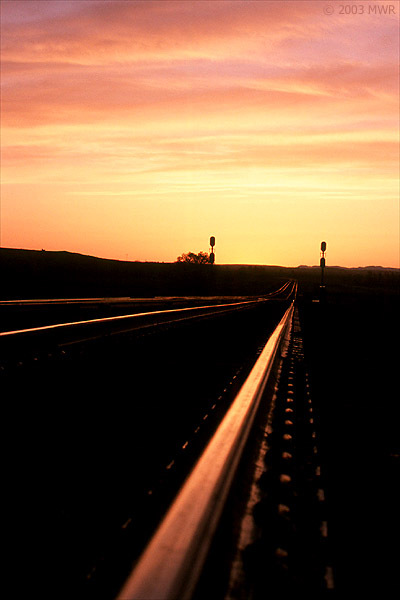 To view more of Paul's work, visit Mountain West Rail.